International Music Summer welcomes young musicians to Halle - Handel City. 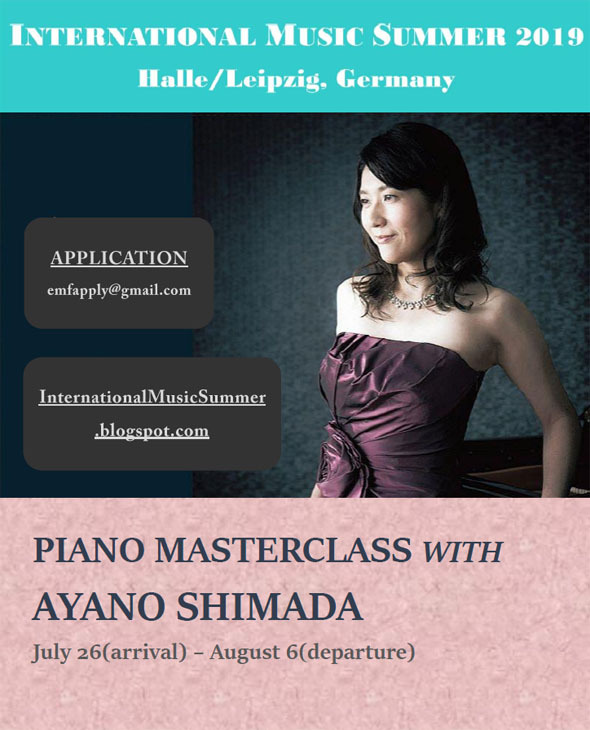 International Music Summer Faculty will lead you to experience how music-making is joyful in one of the world classical music hometowns - Halle and Leipzig where you meet Bach and Handel who are so called music parents. 10-day academic intensive training will be one of precious memories in your music life. International Music Summer provides you various chances to play at concerts, which will make your stage experience abundant. 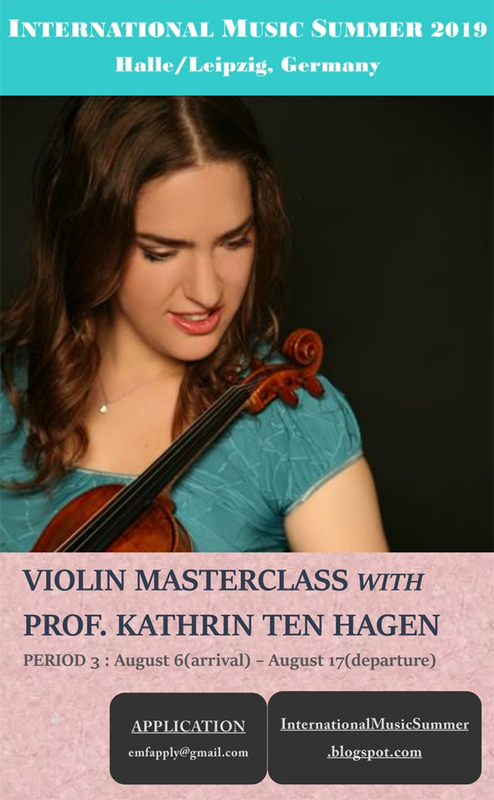 Violinist Kathrin ten Hagen is characterized by the virtuosity and the passion of her playing and her wholehearted devotion to music. The Aachener Zeitung described her playing as: »moving purity, tonal expressiveness and technical perfection« (Aachener Zeitung, Feb. 2013). 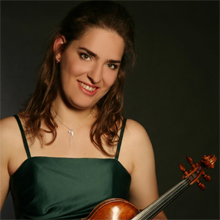 Kathrin ten Hagen performed her debut with the Nu rnberger Symphoniker at the age of 14. Since then, she has appeared with the Deutsche Symphonieorchester Berlin, the Hamburger Symphoniker, the Klassik Philharmonie Hamburg, the Moscow Symphony Orchestra, the USC Symphony Orchestra, and the Chamber Orchestra of the Republic of Belarus, the Kammersymphonie Leipzig, Arcata Stuttgart and Boston Baroque. She performs a wide array of repertoire and has toured through Argentina, Uruguay, Russia, the Ukraine, Europe, China and the USA. She has been invited to play at the Schleswig-Holstein Musikfestival, the Rheingau Musik Festival, the Festspiele Mecklenburg-Vorpommern, the Zermatt Festival, and the Yellow Barn Festival in the USA. The musical exchange between young performers beyond national as well as temporal frontiers is an aspect of musical education close to her heart. Ms. ten Hagen has played in concert halls such as the Eurogress Aachen, the Tonhalle Dusseldorf, and the Laeiszhalle in Hamburg, the Liederhalle in Stuttgart, the Berliner Philharmonie, and the Jordan Hall in Boston, the Weill-Recital Hall at Carnegie Hall, and the California Center for the Arts. Her concerts have been broadcasted by Deutschland Radio, WDR 3 and Bayern 4 Klassik. Kathrin ten Hagen is an honoree of several international competitions. In 2009, she won the first prize at the Donald Portnoy International Violin Competition in Augusta/Georgia. She was also the first prize winner at the California International Young Artists Competition 2007 in Escondido/San Diego. Her other awards include first prizes at the International Wolfgang Marschner Competition 2005, the Ibolyka Gyarfas Competition 2002 and the German Youth Competition Jugend Musiziert. Furthermore she is an honoree of the Corpus Christi International Competition in Texas, the International Max-Rostal-Competition and the Ruggiero Ricci Competition. Already at the age of 14, she won the second prize and the Mozart-prize at the International Yfrah-Neaman-Competition as well as the second prize at the Jakob-Stainer-Competition. She was a scholarship holder of Deutsche Stiftung Musikleben, the Zeit-Stiftung and the Ottilie-Selbach-Redslob-Stiftung. Ms. ten Hagen is a passionate chamber musician. She has performed with Gerald Fauth, Peter Frankl, Riccardo Bovino, Silke Avenhaus, Gustav Rivinius, Wen-Sinn Yang and the Hyperion Trio. With the TenHagen Quartett, she was awarded the special prize for chamber music at the Oberstdorfer Musiksommer in 2011, as well as the Interpretationswettbewerb of the Hochschule fu r Musik Detmold. In both the USA and Germany, Ms. ten Hagen commits herself to outreach concerts in order to further broaden the classical music audience. She frequently plays for the project Rhapsody in School, founded by Lars Vogt. Contemporary music is a particular interest of Kathrin ten Hagen. Alongside the repertoire of the classical modernists, she plays a broad range of works written after 1970 by composers such as Henze, Lutoslawski, Marschner, Balassa, Suslin, Widmann, Yun and Zimmermann. In the Ruggiero Ricci Competition in 2007, she received a special prize for the interpretation of the contemporary work Etude IV by Jo rg Widmann. Ms. ten Hagen studied with Antje Weithaas at the Universita t der Ku nste Berlin and with Igor Ozim in Salzburg, where she completed the Bachelor of Arts degree with honors. As a scholarship holder of the DAAD she was a student of Donald Weilerstein at the New England Conservatory in Boston from 2007-2009, where she was awarded her degree Master of Music with honors and the Graduate Diploma in 2010. She received additional training in international masterclasses with Thomas Brandis, Zakhar Bron, Robert Mann, Wolfgang Marschner and Christian Tetzlaff. Ms. ten Hagen worked as a Teaching Assistant for Donald Weilerstein at the New England Conservatory. Furthermore she was a Lecturer at the Young Artist Program of the Yellow Barn Festival in the USA in 2009 and 2010. In summer 2012 she has taught a masterclass at the International Music Academy Chernihiv. Since 2011, Kathrin ten Hagen has been on faculty at the Hochschule für Musik und Theater Felix Mendelssohn Bartholdy Leipzig. Currently, she is a professor for violin at the University for Music Franz Liszt Weimar, Germany. 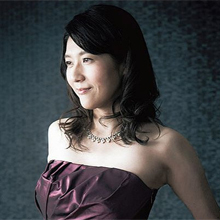 Since her debut at the Queen Elisabeth Hall in London, Akiko Tanaka has performed as Soloist in more than 30 countries. Recital, Chamber music with Top artist (Maxim Vengerov, Vadim Repin, Hélène Grimaud, Pascal Rogé, Ramon Ortega Quero and a lot of musicians) , Concerto with Orchestra (North German Radio Symphony Orchestra (Hamburg, NDR), Hamburg Symphony Orchestra, Helsinki Philharmonic Orchestra, Finnish Radio Symphony Orchestra, Polish National Radio Symphony Orchestra, Stuttgart Chamber Orchestra, Bavarian Radio Chamber Orchestra, Camerata Europe Stuttgart, Tapiola Sinfonietta (Finland), Capella Istropolotana (Slovakia), Japan Philharmonic Orchestra, Sapporo Symphony Orchestra, Hiroshima Symphony Orchestra, Nippon Century Orchestra. ・Vichy International Violin Competition in France, 1st Prize. ・Jean Sibelius Violin Competition in Helsinki, 3rd Prize. ・Wieniawski International Violin Competition in Poland, 3rd Prize. Special prizes for the best interpretation of works Wieniawski and Szymanowski. ・ARD Music Competition in Munich, 3rd Prize. Recordings of varied repertoires were made through radios and on compact discs. Symphoniker, and new album titled "Reve d'Enfant". 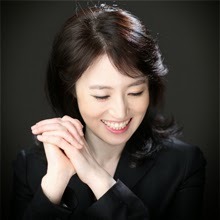 Akiko Tanaka's reputation of artistry and virtuosity has also drawn contemporary composers interests. New compositions are written in dedication to her, for instance " Der Tod ist eine schöne Frau" by Wilfried Hiller. 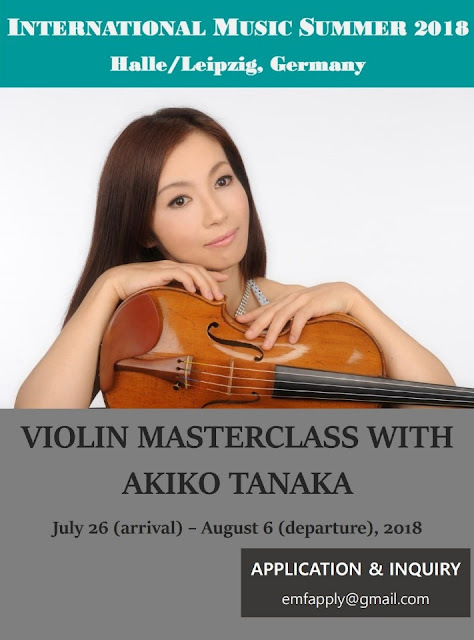 Akiko Tanaka took up violin playing at the age of four under the tuition of Prof. Suzuki. She studied with Akiko Tatsumi, Yfrah Neaman, Wanda Wilkomirska, and Herman Krebbers in Tokyo, London, Mannheim and Amsterdam. Faculty member of Toho Gakuen School of Music in Tokyo, Japan. Phillip Kawin has developed a highly individual pedagogical approach that has established him as a much sought after artist-teacher. His concepts have evolved through an eclectic background of training that combines a variety of artistic and esthetic influences. He has created a teaching methodology that presents the principles of technique and musicianship in a detailed analytical approach—an approach that does not ignore the intuitive aspect of music-making. Mr. Kawin studied with Alfred Cortot‘s long-time associate Jules Gentil at the Ecole Normale de Musique in Paris, in New York City with Howard Aibel (Rosina Lhevinne’s assistant), with John Perry, and later with Dora Zaslavsky (who had studied with Wilhelm Backhaus and Harold Bauer) at Manhattan School of Music. In 1989, Mr. Kawin was appointed to the college faculty of Manhattan School of Music, where he currently works with a select studio of advanced and highly gifted pupils from diverse corners of the globe. Mr. Kawin’s students have won top honors in the Young Concert Artists Auditions as well as in the Martha Argerich International, Jacob Flier International, World Piano, Kosciuszko, Thelonious Monk International (jazz piano), Melilla in Spain, Heida Hermanns, Soulima Stravinsky International, Josef Hofmann, Mieczyslaw Munz, Leschetizky, and Long–Thibaud Crespin International competitions. Phillip Kawin is in constant demand at premier international conferences and festivals, having given his renowned lectures and insightful master classes in Russia, Hong Kong, Israel, China, Korea, Taiwan, the U.S., and throughout Australia. A critic writes: “During these moments, the highest art of piano playing came into view. An image of great pianism not as a demonstration of velocity, or accuracy, but great pianism as absolute control of sound. Phillip Kawin leads his students to reach for that sound, a sound that borders on the architectural and the orchestral. Once heard, that sound stays in the ear-hauntingly. When the master class was over, we were fatigued physically, but mentally stimulated. The sound, and those ideas would remain, they are all too rare. 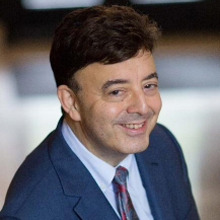 ” (Atlanta Music Teachers Association master class) For the past 17 years, he has been in residence at the PianoSummer at SUNY New Paltz (New York), an International Institute/Festival, as well as appearing regularly at the Summit Music Festival (New York), the International Academy of Music in Castelnuovo di Garfagnana (Italy), and the Beijing International Music Festival & Academy (China). Phillip Kawin has been a guest adjudicator for such competitions as the Beethoven International Piano Competition Vienna, Bösendorfer USASU International Piano Competition (four times), Sydney International, and the 6th International Tchaikovsky Competition for Young Musicians (Suwon, Korea). He is featured on five DVDs (master classes and lectures) for Excellence in Music, Inc., recorded live at the annual World Piano Pedagogy Conference(s). Phillip Kawin has received critical acclaim for his performances in venues all over the world—from Sydney’s Angel Place Recital Hall to Beijing’s Forbidden City Concert Hall—which have received critical acclaim: “… Kawin came out to play Prokofiev Sonata No. 7 in B-flat, probably like no pianist, let alone the composer himself, has played it. A mesmerizing power, devoid of percussiveness and angularity associated with Prokofiev’s piano scores, emanates from Kawin’s moulding touch that evolves to diabolic mysterium.”(New Paltz, New York) As recitalist and as soloist with orchestra, he has performed throughout Australia, China, Korea, Italy, Russia, Spain and the US. Phillip Kawin has an exclusive recording contract with the Master Performers Record Label. His debut album featuring works of Beethoven, Schumann, Liszt and Prokofiev was launched at Steinway Hall in New York in 2008, and received with critical acclaim. His all-Schubert CD recorded in June 2014 under the direction of renowned Grammy Award winning producer Steven Epstein, was released in 2015. 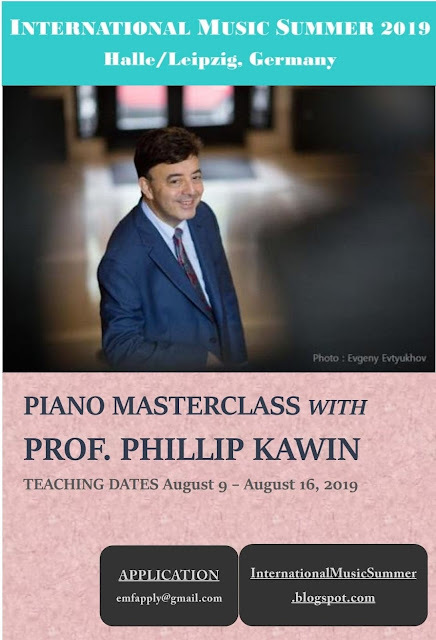 Mr. Kawin has given master classes at the Moscow Conservatory, Saint Petersburg State Conservatory, Tel-Hai International Piano Masterclasses, Shanghai Conservatory of Music, Seoul National University, Van Cliburn Piano Institute, among many others. Most recently, he gave master classes at the DMZ and the Busan international festivals in South Korea; the Harvard Club in New York (the first-ever class at that historic venue); Summit Music Festival; and for the Sibelius Academy in Finland, through the Symposium and Practicum in Synchronous Distance Learning. Phillip Kawin is a Steinway Artist. 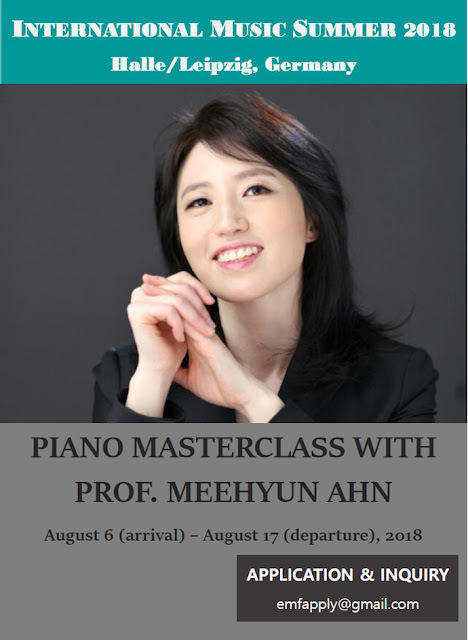 Korean Pianist, Meehyun Ahn studied at Seoul National University with Prof. Jin Woo Chung, Moscow State Conservatory with Prof. Sergei Dorensky, and International Piano Academy of Imola, Italy with Prof. Lazar Berman. She had performed with various orchestras including Moscow Philharmonic Orchestra, St. Petersburg Symphony Orchestra, Romania Philharmonic Orchestra, Kharkov Philharmonic Orchestra, Samara Philharmonic Orchestra, Kaunas Symphony Orchestra, Kaohsiung Symphony Orchestra in Taichung, Taiwan and national orchestras in Korea such as KBS, Daejeon, Incheon, Daegu, Jeonju, Mokpo, and more. Meehyun Ahn had also numerous recitals abroad and domestic, including Wigmore Hall London, Rachmaninoff Hall Moscow, Marmorsaal Salzburg, Teatro Raffaello Sanzio Urbino Italy, Castelvecchio Verona Italy, Music Hall Vladivostok, Kumho Art Hall Seoul, Morse Recital Hall Yale University, Beall Hall USA, Smith Recital Hall USA and other concert halls in USA. Meehyun Ahn won at such competitions as the 1st Asian Youth Music Competition in Hong Kong 2002 (1st Honorable Prize), the 1st Leschetizky International Piano Competition in Taiwan 2000 (3rd Prize), the 14th Viotti-Valsesia International Music Competition in Italy 1998 (2nd Prize), the 11th Seoul Youth Chamber Music Competition in Seoul Korea 1998 (Gold Prize) and other national piano competitions held in Korea 1983 - 1988. She was awarded the KBS Artist of 2005, the 2004 Kumho Artist, the 2nd Woon-Pa Music Award(1991), the Best Music Award (1991) by Seoul Arts School. She was the solist of the Georgia National Chamber Orchestra (2000 - 2002) and of the Kharkov Phihamonic Orchestra (1996 - 1999). She was Adjunct Professor at the University of New Haven in 2006 - 2009 and was Research Associate at the School of Music in the Yale University in 2005 - 2007. She is a Piano Professor at SungShin University in Seoul Korea since 2009. "She began with three Op. 32 Preludes and one's ear was immediately captured by the loveliness of sound though in other respects too these were mysterious, satisfying, virtually perfect. Five of the six Moments Musical Op.19 spoke of an earlier, more overtly virtuosic, composer yet however brilliant was the exploitation of the keyboard in Nos. 4 and 6 this playing, though powerful, was always sensitively directed. Miss Ahn made the most of its vivid moments of tonal, harmonic and melodic ambivalence. The Rachmaninoff returned for a beautifully balanced account of the D major Prelude Op.23, the Elégie Op.3, which had the controlled simplicity which can lead, as in this case, to the best sort of magnificence, and to a pair of well contrasted etudes-tableaux. Like the other Rachmaninoff pieces, these showed that Miss Ahn has fully mastered the modern Russian way of playing this composer. "Meehyun Ahn should be rated as an extremely prominent pianist, drawing deep and thick lines, coupled with a refined touch and superb technique...."
"Meehyun Ahn's playing demonstrated a lively and vigorous rhythm, and confident and ingenious technique. Her fascinating performance captivated the audience with a deep impression and joy." "...A leading pianist of her generation with skilled orthodoxy and artistic excellence in the new millennium and on world stages." "Meehyun Ahn excels on the side of mastership and virtuosity. Overall she demonstrated the audacity of her power and of her wit." "Meehyun Ahn possesses a very beautiful sound with a delicate observation of phrasing." 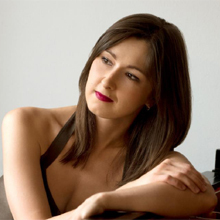 Inesa Sinkevych is a Ukrainian born Israeli concert pianist, currently living in New York. Her recent CD, Schubert Piano Works was released in 2012. She has performed as a soloist with the Israeli Philharmonic, Minnesota Orchestra, Gulbenkian Symphony, Gran Canaria Philharmonic Orchestras, as well as solo recitals in such venues as the Purcell Room at the Queen Elizabeth Hall in London, Weill Recital Hall at Carnegie Hall and Merkin Hall in New York, Palau de la Musica Catalana in Barcelona. She was awarded top and special prizes at the Arthur Rubinstein International Master Piano Competition in Tel Aviv, Piano-e-Competition in Minneapolis, Vianna da Motta International Piano Competition in Portugal, among others. She received her DMA from the Manhattan School of Music. A laureate of the 12th Arthur Rubinstein International Piano Master Competition, Ukrainian-born pianist Inesa Sinkevych has also won first prizes in the Maria Canals International Piano Competition in Barcelona and at the Concurso Internacional de Piano Premio “Jaén” in Spain, as well as awards in the Minnesota International Yamaha Piano-e-Competition, the Vianna da Motta and the Porto international competitions in Portugal, the Casagrande International Competition in Italy, the Panama International Competition and the the Cidade del Ferrol and the Spanish Composers competitions in Spain. Inesa Sinkevych has been praised for her “intense, thrilling and sophisticated playing” (General-Anzeiger, Germany), “grand passion and elegant lyricism” (Audiophile Audition), her “rich cantabile” (Ritmo, Spain), “maturity that belies her age”, and called a “Schubertian of real distinction” (Music Web International). As soloist she has appeared with the Israel Philharmonic, the Minnesota Orchestra, the Gulbenkian Orchestra of Lisbon, the Gran Canaria Philharmonic of Spain, the Porto Symphony of Portugal and the Tenerife Symphony of the Canary Islands. She has performed as recitalist, chamber player and orchestral soloist at the Mann Auditorium in Tel Aviv, the Purcell Room in London’s Royal Festival Hall, the Minnesota’s Orchestra Hall, the Palau de la Música Catalana in Barcelona, the Hong Kong City Hall and the Great Hall of the Centro Cultural de Belém in Lisbon. She has also performed at international summer festivals in France, Spain, Italy, and Cuba. Recent performances include appearances at Weill Recital Hall at Carnegie Hall and Merkin Concert Hall in New York, Bar Harbor Music Festival, Dame Myra Hess Concert Series in Chicago, a tour of China that included performances in Shanghai, Beijing, Shenyang and Guangzhou, and soloist with the Orquesta Nacional del Cuba. 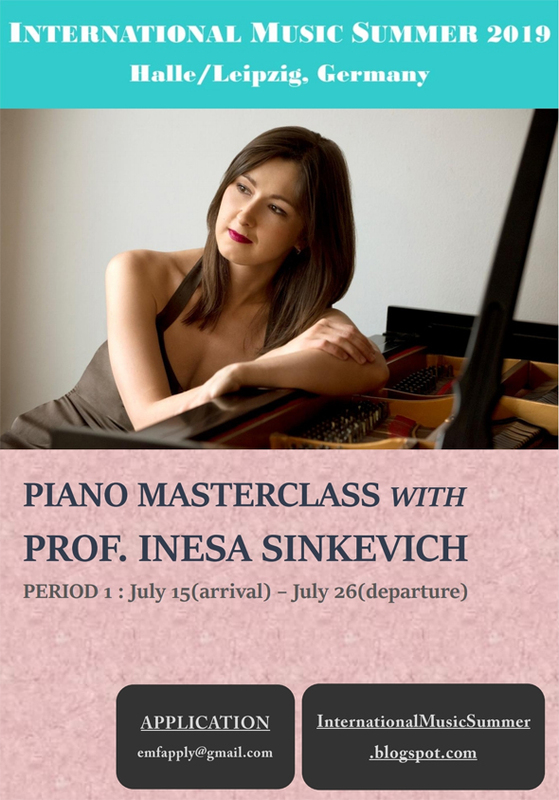 Inesa Sinkevych began her piano studies at the Kharkov Special Music School in her native Ukraine with Victor Makarov and later studied with Alexander Volkov at the Rubin Academy of Music in Tel Aviv. A scholarship from the America–Israel Cultural Foundation enabled her to further her studies with Solomon Mikowsky in the United States, where she received her Master of Music degree at the Chicago College of Performing Arts and her Doctor of Musical Arts degree at Manhattan School of Music. Ms. Sinkevych has been a member of the Manhattan School of Music Piano Faculties of the College Division since 2014 and the Precollege Division since 2008. Born in Japan, Ayano SHIMADA won prizes at several international competitions; Jean Francaix (1st prize, 2001), Trani (1st prize, 2003), Sydney (4th prize, 2004) etc. She studied at the Toho High School of Music, Conservatoire National Supérieur de Musique de Paris, Ecole Normale de Musique de Paris, and Hochschule für Musik Leipzig. She performed in several countries in Europe, Asia, and Africa with the Sydney Symphony Orchestra, Johannesburg Philharmonic Orchestra, Tokyo Philharmonic Orchestra, Kyushu Symphony Orchestra etc. She appeared on radio and TV programs in Japan and also in Europe. Her first CD « Debussy-Dutilleux-Ravel » (2006) received high praise of the composer Henri DUTILLEUX, and the second CD « Brahms Klavierwerke » (2019) is selected as “Most Recommended Disk” on the important music magazine in Japan ‘Record Geijutsu’. Back in Japan in 2011, she has been teaching at the Ueno Gakuen University in Tokyo. She is regularly invited to the music festivals and masterclasses as a soloist and chamber musician in Japan and European countries.